Five Percent Philanthropy. 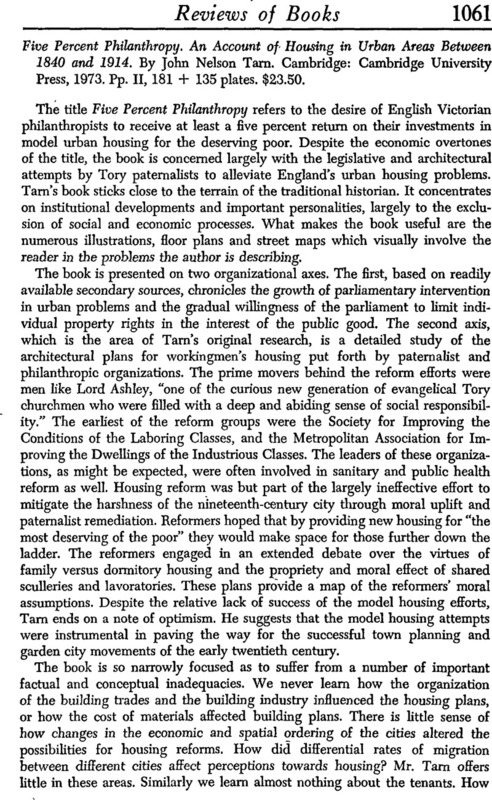 An Account of Housing in Urban Areas Between 1840 and 1914. By John Nelson Tarn. Cambridge: Cambridge University Press, 1973. Pp. II, 181 + 135 plates. $23.50.